At the end of the American Revolution, New York and Massachusetts compromised on their competing land claims for the frontier to their east in December 1786 by the Treaty of Hartford. The compromise was that, while New York would have sovereignty over this "Western Reserve," Massachusetts would have the "pre-emptive" right to obtain title from the Indians. On April 1, 1788, the Massachusetts Legislature granted Phelps and Nathaniel Gorham the right to purchase pre-emptive rights to 6,144,000 acres east and west of the Genesee River. The price of the pre-emptive rights was $1 million, roughly equivalent to $20 billion in 2005. Phelps journeyed west to supervise land surveys and to arrange acceptable terms with the Senecas for the purchase of the eastern half of their lands. A first attempt to convene a council at Geneva failed, and Phelps paid a visit to Indian Allan on the Genesee before proceeding to Buffalo Creek where a large council was convened on July 4th. A goodly number of chiefs gathered there to hear Phelps explain the nature of his claim to their lands. It was not at all clear just what he had bought from Massachusetts since the Indians considered themselves to be the rightful owners of that land. But it was somehow made evident to the chieftains that, since they had been the allies of the defeated British, and since their lands had been surrendered in the peace treaty of 1783, the tribes could only expect to retain their lands on the sufferance of the United States." For nearly 2,600,000 acres of rich land lying between Lake Seneca and the Genesee River, Oliver Phelps offered the niggardly sum of £2,100 in New York currency! The price paid to the Indians for Manhattan Island was extravagant compared to this!" Before he returned to New England that fall, Oliver Phelps engaged a group of surveyors to lay out townships on a rectangular pattern over all the broad estate. A site at the outlet of Canandaigua Lake was chosen for the land office and the chief town, and an order was given for the erection there of a log-house during the winter. The included approximately the eastern one-third of the territory ceded to Massachusetts by the Treaty of Hartford, and begins at a point 'in the north boundary line of the State of Pennsylvania in the parallel of forty-two degrees north latitude at a point distant eighty-two miles west from the northeast corner of Pennsylvania on Delaware River.' (the Preemption Line). This land ownership briefly made Oliver one of the largest land owners in the United States. At the time of the Western Reserve purchase, Phelps was also negotiating for land in Georgia, West Virginia and Maine. In 1789 Phelps returned to Suffield and bought the Hatheway House where he opened one of the first land offices in America (and another in Canandaigua, N.Y.) Unfortunately, land sales did not keep pace with payments due Massachusetts for the pre-emption rights, and Gorham and Phelps could not make the first payment due in 1790. Two-thirds of the land, that portion west of the Genesee River, comprising some 3,750,000 acres, reverted to the Commonwealth. In August 1790, the land east of the Genesee River that had not been sold—some 1,200,000 acres—was sold to Robert Morris, who had previously bought the western portion. Morris was a signer of the Declaration of Independence and financier of the American Revolution, and at the time the richest man in America. Phelps retained extensive holdings in the infant Ontario County. He maintained an interest in its affairs — and in further land speculations. 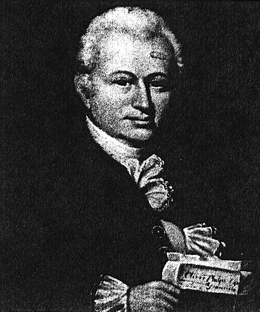 He was elected First Judge of Ontario county (1789-1793). After additional entanglements in western real estate ventures which resulted in "personal embarrassment" and, for a time, the prospect of debtor's prison, Phelps settled down to permanent residence in Canandaigua in 1802. Although he was a founder and large stock holder in the Hartford National Bank and Trust Co., about 1800 his financial troubles became acute because of the effect of changing money values on mortgages held on the tracts of land sold, along with a depressed land market. Forced to sell his Suffield home, Phelps moved to Canandaigua, N.Y., where he built a grist mill and endowed the Canandaigua Academy with a liberal grant of 6,000 acres. Between 1803 and 1805 he served in Congress. A popular figure in the country he had opened for settlement, he was appointed the first judge of Ontario County and elected as a Democrat (i.e., a Jeffersonian Republican) with a single term in congress. He returned to Canandaigua afterwards to live out his years. Although a man of great ability and broad vision, Oliver Phelps was ahead of his time. He tried to help settlers who could not fulfill their contracts, but he was doomed to poverty and died in 1809 in debtor’s prison. His memory is honored in Canandaigua, where the inscription on his tombstone reads: “Enterprise, Industry, and Temperance cannot always ensure success but the first of these will be felt by Society.”. Ethel Wood was born circa 1897 at NY.1 She married Arthur F. Holcombe, son of Charles Frederick Holcombe and Mary Ellen Mattison.1 Ethel Wood died on 12 January 1925. Eunice Amma Truman was born on 19 March 1842 at Wirt, Allegany Co., NY.1 She was the daughter of John Truman and Maria Holcombe.1 Eunice Amma Truman married Philetus Clark Truman on 6 May 1863 at Magnolia, Harrison Co., IA.1 Eunice Amma Truman died on 10 March 1877 at Harlan, Shelby Co., IA, at age 34. Laura Truman was born on 7 July 1850 at Lima Twp., Rock Co., WI.1 She was the daughter of John Truman and Maria Holcombe.1 Laura Truman died on 9 November 1852 at Lima Center, Rock Co., WI, at age 2. Chauncy M. Holcombe was born circa 1849 at OH.1 He was the son of Edward Tupper Holcombe and Elizabeth Mitchell.1 Chauncy M. Holcombe died before 29 March 1901 at Gallipolis, OH. Walter Holcombe was born circa 1855 at OH. He was the son of Edward Tupper Holcombe and Elizabeth Mitchell. (?) Robinson married Victoria Holcombe, daughter of Edward Tupper Holcombe and Elizabeth Mitchell. T. G. Trembly married Elizabeth Holcombe, daughter of Edward Tupper Holcombe and Elizabeth Mitchell. Reuben H. Dickerson was born on 17 November 1841. He was the son of Enoch Russell Dickerson and Mehitable Holcombe. Reuben H. Dickerson died in 1864. John W. Dickerson was born on 14 February 1844. He was the son of Enoch Russell Dickerson and Mehitable Holcombe. Abigail (?) was born circa 1831. She married John Alonzo Truman, son of John Truman and Cynthia Truman. Thomas Alexander Dickerson was born on 31 May 1849. He was the son of Enoch Russell Dickerson and Mehitable Holcombe. Niles N. Dickerson was born on 22 April 1851. He was the son of Enoch Russell Dickerson and Mehitable Holcombe.